What better way to celebrate Valentine’s Day than with chocolate. Present a beautiful and delicious hand made gift to your loved ones to enjoy. 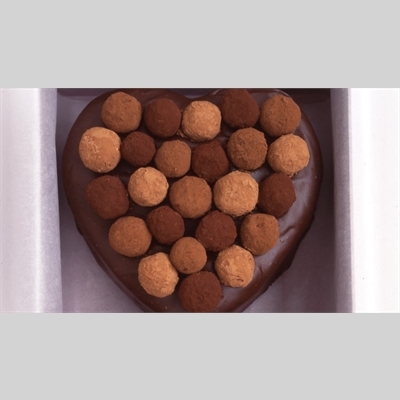 We will make and decorate scrumptious chocolate truffles and design a beautiful box to complete the presentation. There may even be another special surprise along the way. Come join us for a tasty and creative Valentine’s Day. Tuition includes all materials. Ages 7+. Fees are for one adult and one child. Please register under adult’s name.